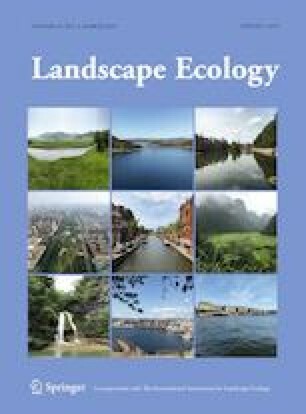 Conservation planning increasingly needs to be effective in areas that are influenced by anthropogenic land uses, yet many planning tools do not give equal consideration to ecological, social, and economic objectives, nor do they enable identification or comparison of tradeoffs among objectives. We explore outcomes and tradeoffs for the proposed expansion of a US wildlife refuge in a region characterized by strong town character and high human population density, development, and property values. Our objectives were to: (1) determine whether acquisition targets could be achieved given competing objectives; (2) evaluate tradeoffs between social, economic, and ecological objectives; and (3) evaluate how landscape development influences tradeoffs. We used genetic algorithms to generate and evaluate outcomes for refuge expansion that could systematically navigate multi-objective tradeoffs. Ecological objectives included maximizing total protected habitat, priority habitats, and connectivity between protected properties. Economic and social objectives included minimizing acquisition cost, loss of areas under high development pressure, and town character conflict. Land acquisition targets could be met, though not without economic and social tradeoffs. Positive outcomes for area protected and connectivity resulted in poor outcomes for the other four objectives. Win–win refuge expansion solutions were available for some objectives, but there were also consistent tradeoff relationships, which were exacerbated in areas with high development pressure. This multi-objective approach allows decision makers to account for tradeoffs and hard choices between social-ecological objectives. Explicit consideration of multiple, competing objectives and their benefits, losses, and costs increases transparency and improves decision making. The online version of this article ( https://doi.org/10.1007/s10980-019-00798-8) contains supplementary material, which is available to authorized users. The authors would like to thank the U.S. Fish and Wildlife Service Staff in Hadley, MA for providing spatial data and input, and the creator of the inspyred package, Aaron Garrett, for his technical assistance. They would also like to thank Chris Elphick, Robert Fahey, and Morgan Tingley for commenting on an earlier draft of this manuscript. M.R.L. was supported by the Connecticut DEEP State Wildlife Grant Program, the Center of Biological Risk at the University of Connecticut, the USDA National Institute of Food and Agriculture, Agriculture and Food Research Initiative Competitive Grant no. 2014-38420-21802, and the USDA National Institute of Food and Agriculture McIntire-Stennis project accession number 1014150.